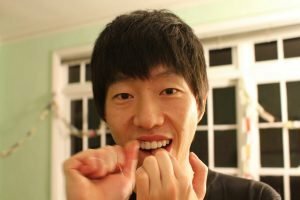 You know you’re supposed to brush and floss your teeth each day, but have you ever really thought about which you should do first? Conventional wisdom says that it doesn’t really matter so long as you do both. But research published earlier this year in the Journal of Periodontology suggests otherwise. For the study, 25 dental students were asked to follow two different oral hygiene routines. In the first phase, they brushed first, then flossed. In the second phase, they flossed before brushing. The researchers found that flossing first resulted in better plaque removal, particularly between the teeth. Flossing followed by brushing provides more statistically significant improvements over brushing followed by flossing with respect to plaque control. Although it’s not entirely clear why flossing first makes such a difference, the important thing to remember is that it does. Yet however much flossing matters, there are those who can come up with all kinds of excuses to avoid it. To be blunt, though, a lot of those excuses just don’t cut it. Some patients say that they don’t know how to floss correctly, but if you forget what your hygienist taught you at your last appointment, there are plenty of online tutorials and step-by-step guides that can help. Others say that they would floss, only it makes their gums bleed. The catch-22 is that if you don’t floss, your gums are apt to bleed more due to advancing gum disease. If you find flossing hard because there’s not a lot of space between your teeth, try a waxed floss instead. If there are large gaps, you may find dental tape more effective than floss. If you have trouble getting between the teeth in the back of your mouth, a floss holder might make things easier for you. As for that “I forgot to floss” excuse? That, too, flies out the window when you remember to floss first.